I am learning how quickly my Mama Bear instincts kick in when people say ignorant things, how easily my heart is ready to protect and defend our baby and Birth Mom, our Other Family we have not even met yet. I also am learning how ignorant I was before stepping into this journey, how ignorant I still am, and how hurtful ignorance can be. There are phrases and words that sting the hearts of us on this journey like wasps, stings that last longer than you expect them to, as the venom spreads and courses its way through. So let's talk about it. While I learn and my ignorance is corrected, why don't you join me and learn too? And grace. I'm honored to be here typing to you. I'm finding that though conversations can be filled with (hopefully unintended?) hurt and ignorance, we also have the unique opportunity to educate others in a positive way, instead of reacting negatively or defensively. Join me on this multiple-part series? 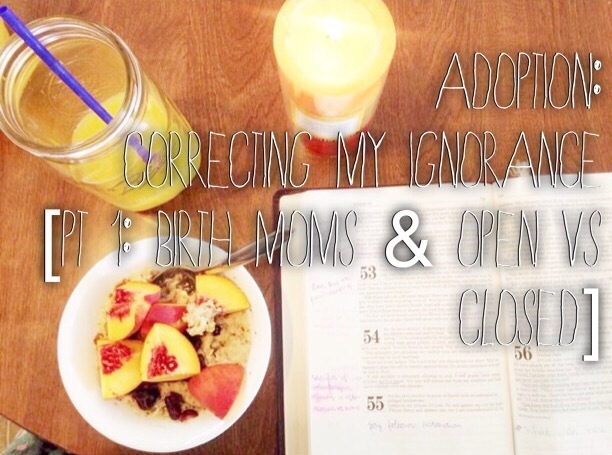 Today we are talking about Birth Moms & Open vs. Closed Adoptions. Disclaimer: I still have so much to learn. January 2014 Loren and I met with a local Pregnancy Counselor, wondering what it would look like to adopt locally. We drove 15 minutes to the North Albany Starbucks; he ordered a toffee nut latte and I ordered a caramel macchiato because at that time, I could drink the delicious creaminess that is cow's milk and have little repercussion. The Pregnancy Counselor showed us a pile of Family Profile books, explaining that we would need to make one; I remember feeling so inadequate, flipping through the pages of these 30+ year couples who had been to Europe multiple times and owned large houses. There is no way we would be chosen, I thought, what mother would place thei baby in our apartment home? She explained that we would work with an attorney, that we would most likely pay for the birth mother's rent and hospital bills and groceries; we support her while she is pregnant because more than likely, she can't work and is single. She strictly worked with "open adoptions," and I saw Loren's muscles tighten as she explained to us how beautiful it can all be. She beamed, sharing stories of adoptive families and birth families uniting because of one child. We walked away feeling weirded out and bummed and defeated. There was no way we could afford this; no way we wanted an "open" adoption; no way we would dare pay for some woman to live when she may change her mind at the birth. What if she just uses us for the money we don't even have? What if she is crazy and comes after us? There are movies about this. We don't want some lady interfering with our lives for 18 years. This was not our path. Too many unknowns, not enough control. 12 months are lived and January 2015 arrives on the chalk board that is our calendar. We again begin to research and scour the Internet, educating ourselves on the million and one paths we could pursue. February we were confident we wanted to hire Susan from Christian Adoption Consultants; we had been savings bits of our pay checks for adoption for almost 3 years and we had nearly enough to hire Susan. We corresponded with her for weeks, asking questions, making sure this wasn't some scam. Spoiler: it wasn't. We officially started the process May 11, 2015 and by that I mean: we paid money. We hired Susan. When people ask, "when did you decide to adopt?" It nearly feels impossible to know the answer...when I look back to our dating scene, I remember us talking about adopting. January 2014 we the conversation perpetuated and we pursued information and connections. January 2015 even more so. May 11: drained our adoption savings to hire a consultant. Since officially walking this path, I have learned how deeply ignorant and uneducated we have been regarding the reality of adoption. When we filled out our application for CAC 4 months ago, we checked that we wanted a "closed" adoption. If we were REALLY crazy and brave, we might do a "semi-open," committing to sending a letter with pictures once or twice a year. Perhaps the largest mountain moved in both Loren's and my hearts is this: birth mamas [& dads] are heroic. We do not have to walk in fear of these precious women. They are lovely and lovable, wholly human and fragile, broken just like you and me. They are selfless, more than you or I: they deny every natural fiber of their being by choosing to place their baby in another family to raise as theirs. They know they are unable to provide the life they desire for their own flesh and blood; they sacrifice their own desire to snuggle and raise those babies for their (the baby's) own better good. They experience loss in a deeper way than I can fully understand. Adoption isn't shiny and perfect and cookie cutter; it is born from tragedy and loss. We have been praying for Our Birth Mama daily for months; prayer certainly moves hearts. Our hearts. Our hearts have grown immensely for the women who choose to carry precious lives and sacrifice the right to parent and intimately know them. Their love is deep, like God's. We find more and more that these women are precious and brave and we cannot wait to meet our baby's Other Mother, the woman carrying the flesh and bone we will call ours, we will smooch and raise and entrust God with. Besides the fact that she chooses to place her baby in another family, she also signs a lot of paperwork revoking her rights to the child. A lot of times people ask, "aren't you afraid she will try to take her baby back?" And no, no we aren't. And even if she did, which I haven't actually heard of this happening recently, there are attorneys and laws and it simply isn't possible. So no, we are not afraid. 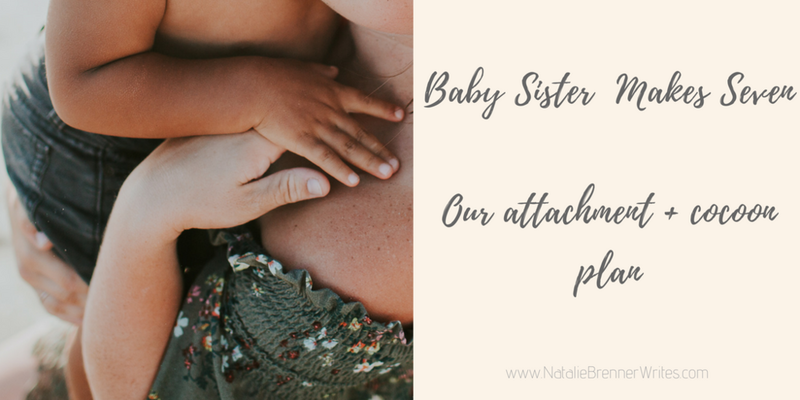 We are moving more and more towards having an "open" relationship with our baby's Other Mother. 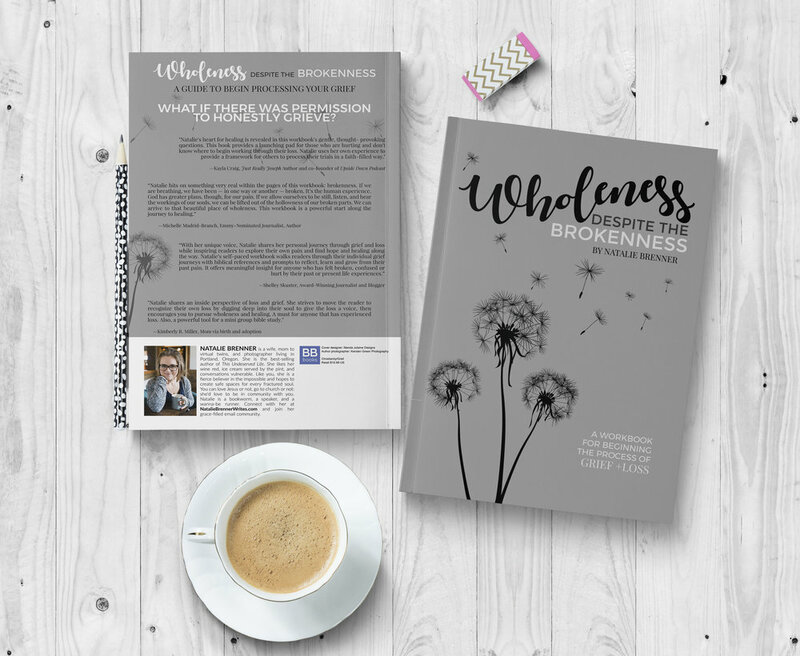 Adoption is moving away from the terms open and closed, because now more than ever, relationships with birth & adoptive families are open and different and there are no proper boxes we can fit any two adoptions in. It's more of the norm than closed (no relationship whatsoever; don't even know names). 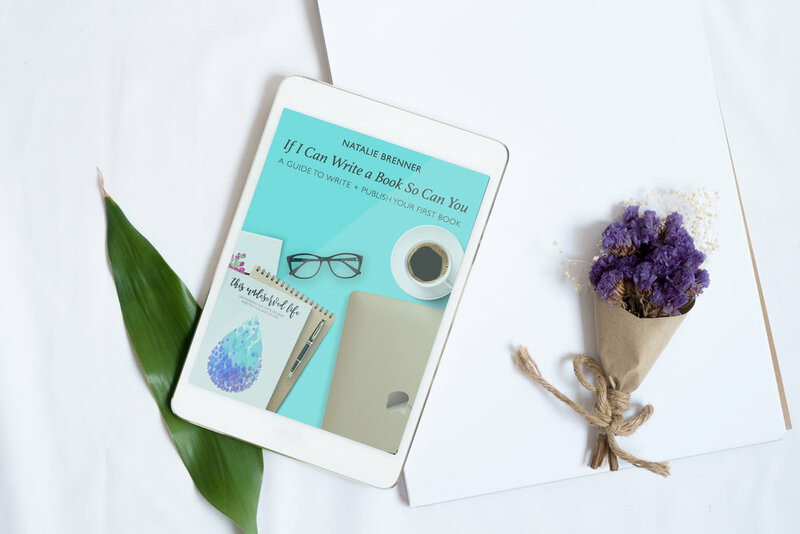 The more we study and read, the more equipped we feel for an open relationship, as opposed to a closed. This is a place we did not ever expect to land. 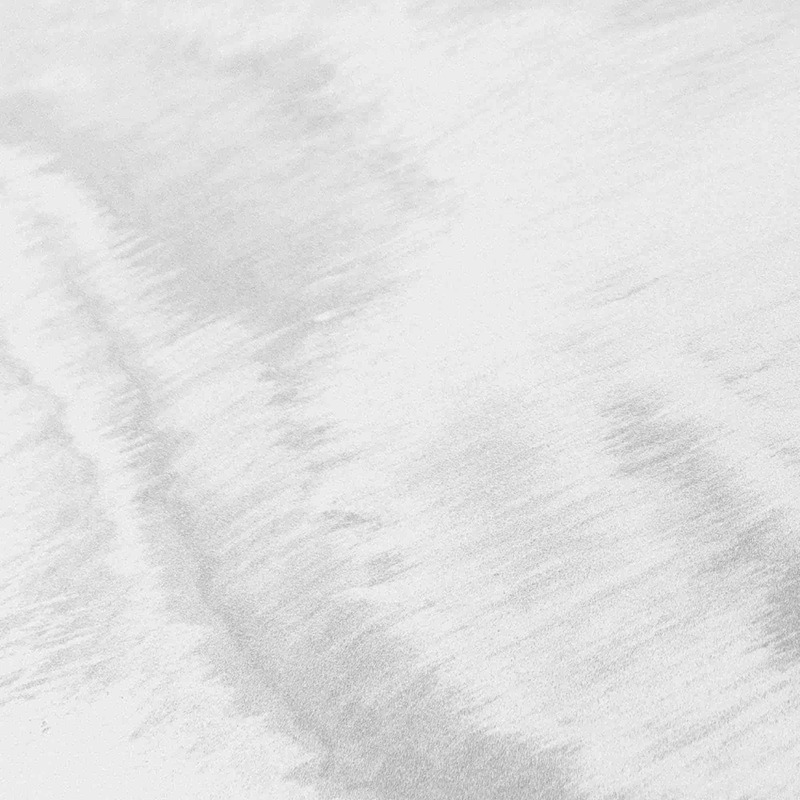 Closed relationships are often sad but sometimes unavoidable, especially with international adoptions: adoptive families receive zero information of baby's Other Mother, zero photos, zero contact information...with closed adoptions, your child grows up missing an incredibly large part of his/her identity. We plan on having a photo of our baby's Birth Mama in the nursery; we hope to send texts and photos and depending on her/our location, visiting her once a year. We are praying for as healthy a relationship as possible, through this tragically beautiful thing. Some have asked, "Don't you think that's unhealthy and confusing for the kid?" And no, no we don't. We did; we did believe that was horrible and terrifying and weird...until we began reading and studying it. 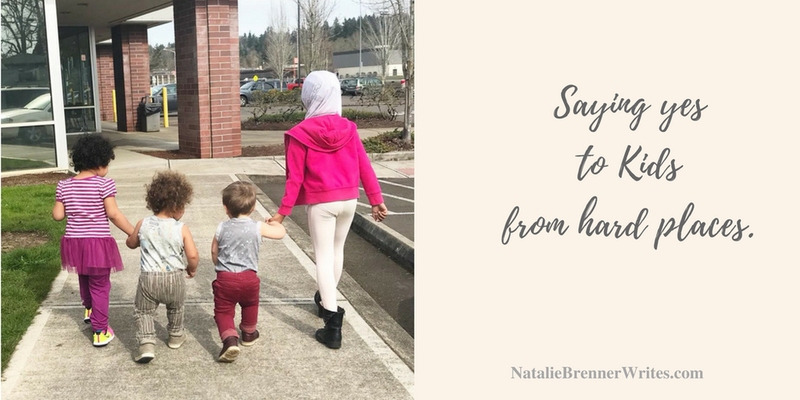 Now we see the clear benefits and healthiness of having safe and open conversations about adoption, allowing our child to ask questions and U.S. answer them in honest but age-appropriate ways. I also want to be sure I put out there that I know open adoption isn't always the best. 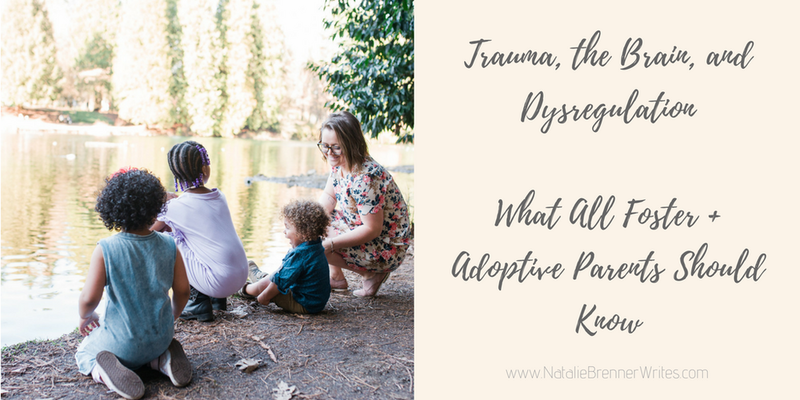 I know that an open adoption isn't always possible and that it isn't for every single adoptive family. You may think we're crazy. That's okay. Six months ago my adoption-uneducated-self would have thought that too. Check this one of many posts out: HERE, The Fear of The Other Mother. Because...the Internet has all the answers. 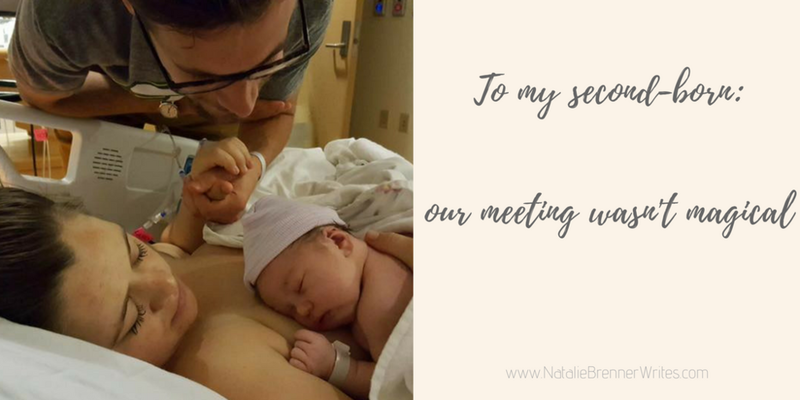 Read this post about a recent friend's open adoption and hearing from her son's birth momma: Open Adoption: Our story of faith, trust and love. .Meet us here over the next few weeks: 1. when and how we plan on telling our child he/she is adopted and why; comments & questions we've already had about 2. race & ethnicity, 3. "drug babies" & substance addictions, 4. "getting a healthy baby." To financially support our adoption, click here.